Note: As of September 2015, TO have ceased the eSports partnership with Starladder in order to concentrate efforts and resources on the Unity release of Tanki Online. The new version of the game will include an automated system for organizing tournaments, which will provide a good opportunity for eSports in the future version of TO. 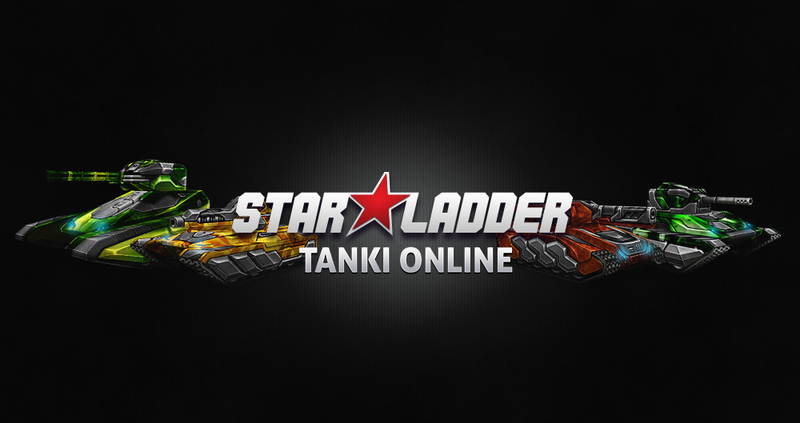 In the Spring of 2014 «Tanki Online» signed an agreement with StarLadder. StarLadder, founded in February 2012, is an eSports center for some of the top games in the world. The main games were Counter-Strike and Dota 2, and over time they expanded their horizons and added other games. The elite team of producers is staffed by managers, production specialists, broadcasters, and commentators. Its main headquarters are located near Kiev, Ukraine. StarLadder is proudly sponsored and used by Intel, Asus, INNOVA, Wargaming.net, Twitch.tv. Each tournament discipline is divided into four divisions. Newly created teams must wait until the end of the season before they can either register in the Amateur division, or try to qualify for Semi or Pro. Within StarLadder there is a system for movement between the leagues; the best teams are promoted to more prestigious leagues, and worse teams are relegated. For example, if you place well in Amateur Series, you will move onto Semi Series and so on. Qualifying for Star Series is only possible by advancing through Pro Series. The LAN Finals of every season are held at various venues, however the finals of all StarLadder disciplines (not just Tanki Online) are held in Kiev, in a club called “Kiev eSports Arena”. There are four StarLadder seasons per year, and between each season there is an offseason period, lasting a few weeks. Star Series is divided into two stages - a circular stage where every team plays each other, and the LAN Finals, where only the best teams qualify. The Pro, Semi and Amateur divisions are also divided into two stages, but the difference is that the team placing first in all divisions play a few group stages, and the best teams advance to the play-offs (which are held online) to identify the strongest. Ranking Cups - Frequent daily short blitz-tournaments, intended for gaining rating. Having a high rating means that newer teams can qualify for a higher league without the need to play in the season’s main tournament. Weekend Cups - Weekly blitz-tournaments, in which you can win real money ($200 per winning team). As of yet, none of these changes have made an entry to the game. A team can have a maximum of 12 players, however during the season the leader can make substitutions, but serious changes to the team members are only permitted during the offseason. If changes are made to at least 50% of the team, according to the rules of StarLadder, a team can face elimination from the tournament. This, however, is decided by the organisers. For StarSeries battles, an invite-only eSports server is provided. Upon entering the eSports server, a player already has free access to all of the permitted StarLadder equipment. Team leaders have spectator mode on the server to make training more effective and have the ability to manage their players during the game. The eSports server has more visible statistics – the round of the match, the score, all players’ nicknames, equipment and health. Due to being a separate server, there is much less lag. Our commentators frequently stream StarSeries battles - just follow the forum and twitch.tv channel. Esta página fue modificada por última vez el 23 ene 2016, a las 15:48. Esta página ha sido visitada 11.588 veces.